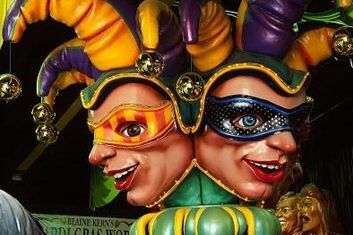 Mardi Gras, or Fat Tuesday, is the final day of Carnival, which begins on the Feast of the Epiphany on January 6 (Also known as Kings' Day or Twelfth Night). 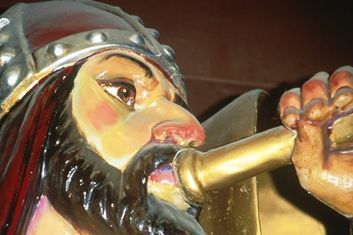 King's Day celebrates the arrival of the three kings at Jesus' birthplace, thus ending the Christmas season and, in New Orleans, simultaneously starting Carnival. 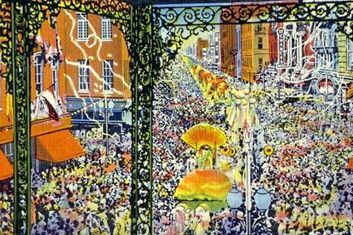 Much of the roots of Mardi Gras can be found in various pagan celebrations of spring, dating back over 5,000 years. Mardi Gras Day is always the day before Ash Wednesday. The parades and festivities begin 2 weeks prior to Mardi Gras Day, and become more and more intense and festive as the weeks progress. The New Orleans Jazz & Heritage Festival is held the last weekend of April and the first weekend of May. This is a 10-day celebration of music has two components. The first is the Louisiana Heritage Fair featuring delicious Cajun and Creole cuisine, in two large food areas, and artisans from around the world demonstrating and selling their work. The second component is the Evening Concert Series, featuring music from big-name, regional, and local musicians on 12 stages. The city welcomes over 500,000 visitors each year for this event. You want music? We have Music! The French Quarter Festival kicks off in April. It's a weekend when music is everywhere in the French Quarter. There are concerts in Jackson Square, the Riverwalk, and in the clubs and casinos. "Thank you so much for making our stay and our guests' stay fabulous. The staff was wonderful... Everyone had a great time, and we appreciate everything you've done for us."